As a growing business, the wellbeing of your employees is a top priority. When your workers remain in good health, production and morale increase while absenteeism and turnover rates diminish. 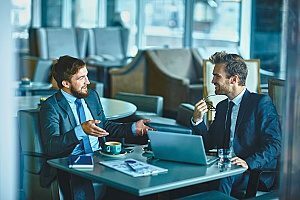 Group health insurance is a popular option for businesses that have less than 50 employees and want to take advantage of the benefits that come with group coverage. However, like all insurance types, group health insurance can great vary from policy to policy. Learn more about group health insurance and how to get it. While group health insurance has some similarities to individual plans, the two healthcare coverage options are very different. For small businesses with between 2 and 50 full-time employees, group health insurance can provide added benefits that are not generally available in individual plans. For example, group health insurance can cost significantly less than individual health insurance as the risks involved are spread over a group of employees (and possibly their defendants) rather than directed at one person. Just like with individual and family health insurance plans, there are several main types of group health insurance broken down by plan types and metal levels. HMO: A health maintenance organization, or HMO, requires enrollees to choose a primary care provider (PCP) who may then select specialists on an as-needed basis. The PCP must be found within a pool of in-network providers to qualify. If services are rendered out-of-network, they are generally not covered with the exception of emergencies. PPO: A preferred provider organization, or PPO, does not require you to choose a primary care provider like an HMO. PPOs provide enrollees with more freedom over their healthcare by allowing them to see the doctors they want to see. Enrollees can even choose to see doctors who are out of their network. However, these services are covered at a lower level than in-network providers. EPO: An exclusive provider organization, or EPO, combines features of both HMOs and PPOs. With an EPO, you will generally not have to choose a primary care provider. However, you may not have any health coverage outside of the insurance company’s limited group of in-network medical providers. Others: While HMO, PPO, and EPO are the most common types of group health insurance, there are others to consider. Point of service, or POS, coverage is another choice to consider, as well as options like health savings accounts. Be sure to compare your options before settling on a health insurance type. Platinum: A platinum health insurance level typically provides enrollees with the lowest out-of-pocket expenses. However, this goes hand-in-hand with higher monthly premiums. Platinum plans pay 90 percent of projected healthcare expenses. Gold: Gold level plans typically come with higher premiums and co-pays. They are designed to pay out 80 percent of projected health expenses. Silver: Silver level plans generally cost less per month, but may come with more costly deductibles and co-payments. This type of metal level pays out 70 percent of projected health expenses. Bronze: Bronze level plans typically have more affordable premiums making it a good choice for healthy enrollees who do not need to frequently visit the doctor. This type of plan pays the least amount of projected health expenses at just 60 percent. Group health insurance is purchased by an employer and is offered to eligible employees of a business or organization, as well as eligible family members of employees. 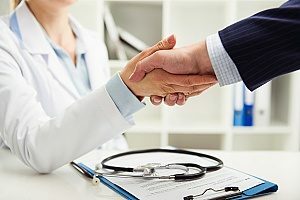 Small businesses may purchase health insurance through a variety of sources, such as an online website, public SHOP marketplace, or preferably through a licensed health insurance benefits consultant. When shopping for group health insurance, know that not all group health insurance policies are the same. The amount of coverage you receive can differ from carrier to carrier based on various factors like the number of employees and your location. Group health insurance plans must meet certain coverage levels including platinum, gold, silver, or bronze. Each of these metal level tiers is designed to provide each enrollee with the same coverage level. Small group health insurance plans must also cover essential health benefits (EHB) and meet certain plan reforms like annual limits and no lifetime. 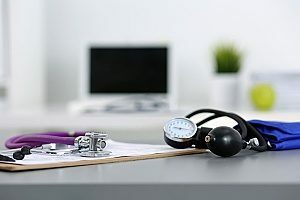 States regulate fully insured group plans; however, group healthcare plans must follow certain federal regulations such as HIPAA, ERISA, ACA, and COBRA. Insurance regulations are also regulated by the department of insurance in each state. As a general rule of thumb, if an employer chooses to offer group health coverage to full-time employees, he or she must offer coverage to all full-time employees. While part-time employees do not need to be offered coverage, employers have the option to provide insurance to these individuals. Eligible employees cannot be denied insurance coverage based on existing medical problems or preexisting conditions. Dependents of eligible employees cannot enroll in group health insurance unless the employee has enrolled. Dependents may include spouses, children, and in some instances unmarried domestic partners. If you are a small business owner, you may be considering providing group health insurance to your employees. There are a number of benefits of this insurance, including reduced risks for your company. Know that like most individual and family insurance plans, group health insurance offer a variety of coverage options, such as the ability to add on vision plans, dental coverage, life insurance, and 401k plans. Consider all of your options when building your policy to ensure that both you and your employees are satisfied with the amount of coverage received. With medical costs climbing to an all-time high, there has never been a better time to seek alternative health insurance options. The right type of health insurance can help motivate and retain employees while providing employers with valuable tax benefits. For more information about group health insurance, contact a qualified benefits consultant today.